In a letter to European leaders, President Vladimir Putin has warned Europe that Ukraine’s delays in paying for Russian gas have created a “critical situation”. Pipelines transiting Ukraine deliver Russian gas to several EU countries and there are fears that the current tensions could trigger gas shortages. Armed pro-Russian separatists are holed up in official buildings in Donetsk and Luhansk, in eastern Ukraine. Meanwhile, a European human rights body has stripped Russia of voting rights. The Parliamentary Assembly of the Council of Europe (PACE) monitors human rights in 47 member states, including Russia and Ukraine. Protesting against Russia’s annexation of Crimea last month, PACE suspended Russia’s voting rights as well as Russian participation in election observer missions. The Russian delegation had boycotted the meeting. Its leader, Alexei Pushkov, described the proceedings as a “farce”. Russian state gas giant Gazprom says Ukraine’s debt for supplies of Russian gas has risen above $2 billion (1.4 billion euros). 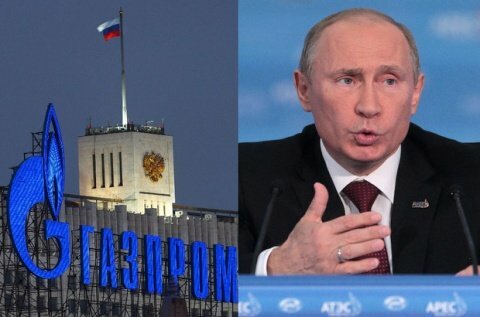 Gazprom said on Wednesday it could demand advance payments from Kiev for gas but President Vladimir Putin said the company should hold off, pending talks with “our partners” – widely believed to mean the EU. President Vladimir Putin warned that the “critical” situation could affect deliveries of gas to Europe, his spokesman Dmitry Peskov was quoted as saying. Vladimir Putin suggested “special” measures, he added, without elaborating. Nearly one-third of the EU’s natural gas comes from Russia. Previous Russian gas disputes with Ukraine have led to severe gas shortages in several EU countries. The EU says it has extra gas supplies and reverse-flow technology to deal with any such disruption now. In Kiev, the authorities said Ukraine would not prosecute pro-Russian activists occupying official buildings in Donetsk and Luhansk if they surrendered their weapons. Ukraine has accused Russia of stirring up the unrest, a claim Moscow denies. NATO says up to 40,000 Russian troops are massed near Ukraine’s border. Ukraine fears that the Russian separatist actions are a provocation similar to the protests that gripped Crimea days before Russian troops annexed the peninsula last month. The separatists in the east – a mainly Russian-speaking region with close ties to Russia – are demanding referendums on self-rule. In Donetsk they have declared a “people’s republic”. Russia, the US, Ukraine and the EU are to hold talks in Geneva next Thursday to try to resolve the impasse, EU diplomats have said. They will be the first four-way talks since the crisis began. Russian Foreign Minister Sergei Lavrov told US Secretary of State John Kerry by telephone on Wednesday that the meeting should focus on fostering dialogue among Ukrainians and not on bilateral relations among the participants. In another development, President Vladimir Putin sacked 14 generals, Russian media report. It was not immediately clear if the move was a routine step. Russia has some 800 generals in its army alone.